Join Team Friendship in the FITBIT Miami Marathon on January 25-27, 2019 for a meaningful and exhilarating weekend. Team Friendship will cover Full Experience participants stay at the Marriott Miami Biscayne Bay for Friday and Saturday night prior to Race Day. Local Experience participants are welcome to cover their own stay at the hotel. Please e-mail info@friendshipcircle.com for pricing info and reservations. 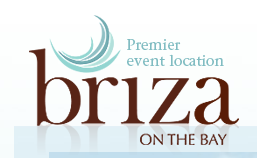 Briza on the Bay, an incredible bayside venue connected to the Marriott hotel. Local Experience participants are invited to the pre-race and post-race parties. See the Weekend Schedule below for a full list of weekend events. Team Friendship participants are required to book their own flights to Team Friendship events. Team Friendship will reimburse each participant up to $275 toward the round trip flight. Once your flight is booked, please e-mail us with your receipt. You will be reimbursed up to 2 weeks after race day. Participants are required to arrange their own transportation to and from the airport. 7:00 AM Join the Cheer Squad! 12:00 PM TEAM FRIENDSHIP AFTER PARTY! For information about race day, visit the Race Information page. More questions? Please don’t hesitate to contact us or visit our FAQ page.